THURSDAY, Nov. 29, 2018 (HealthDay News) -- Being overweight likely plays a causal role in the development of depression, even in the absence of other health problems, according to a study published online Nov. 13 in the International Journal of Epidemiology. Jessica Tyrrell, Ph.D., from University of Exeter in the United Kingdom, and colleagues analyzed data from 48,791 individuals with depression and 291,995 controls in the U.K. Biobank to assess causal effects of higher body mass index (BMI) on depression. 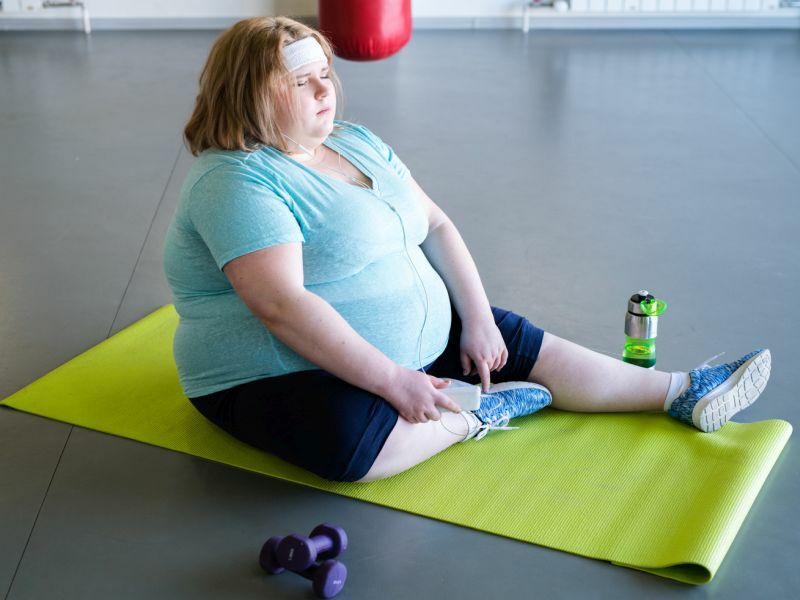 To uncouple the psychological component of obesity from the metabolic component, two genetic instruments representing higher BMI were used, one with and one without its adverse metabolic consequences. The researchers found that higher BMI was strongly associated with higher odds of depression, particularly in women. Mendelian randomization showed that higher BMI partly causes depression. A genetically determined one standard deviation higher BMI (4.9 kg/m²), based on a 73-variant BMI genetic risk score, was associated with higher odds for depression in all individuals (odds ratio, 1.18) and among women only (odds ratio, 1.24). A genetically determined one standard deviation higher BMI, using a metabolically favorable adiposity genetic risk score, was associated with higher odds for depression in all individuals (odds ratio, 1.26). "Higher BMI, with and without its adverse metabolic consequences, is likely to have a causal role in determining the likelihood of an individual developing depression," the authors write.